It is important to buy the right size of motorcycle clothing, for both wearing comfort and safety. You do not want to be distracted by a too large or too tight motorcycle suit, you need to stay focussed on what you like to do: riding your motorcycle. And perhaps even more important, if your motorcycle suit is the right size, the armor will also stay in the right place. When something goes wrong, you have the protection you need. Use the size chart below to determine your size. 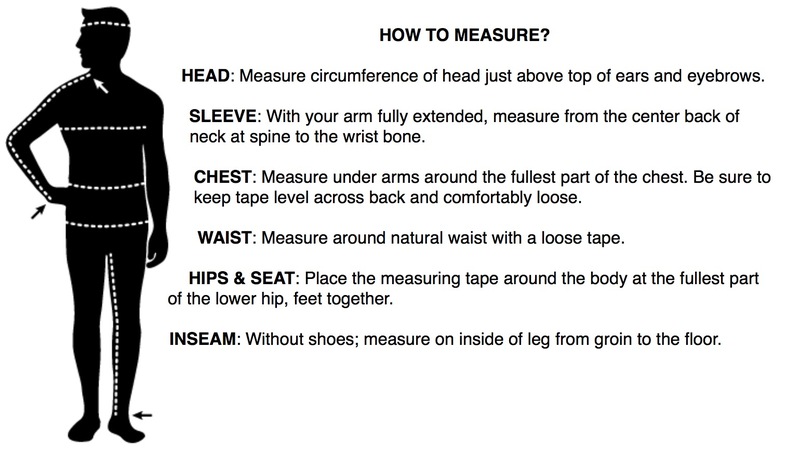 Use a flexible measuring tape. If you have any questions, please contact us or make an appointment to come and fit without obligation.